Sometimes you just don’t know when you will need a Poplar rubbish clearance. You see the same house every day, so it can be hard to judge, if your level of hoarding is the same as everyone else’s. Maybe someone has told you that you need to have a clear out, or maybe you've realized you have too many things everywhere, and this is where our E14 waste collection services can come in handy. 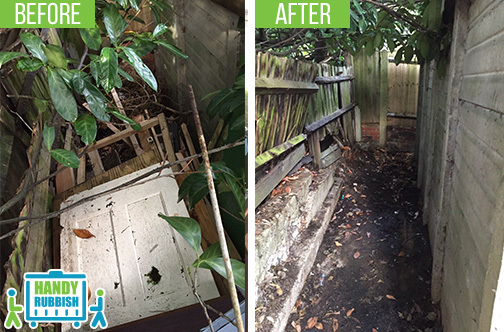 We can come and help you with sorting out your home and restoring it to order, so if you think either yourself or someone could benefit from our Poplar rubbish removal services, call Handy Rubbish on 020 3540 8282. If you feel like yours or someone else's home is unorganised, there is a lot that you can do to help. Firstly, Poplar waste removal is always a good idea - getting rid of rubbish such as old magazines, newspapers etc. can really help to free up a lot of space and can make the place look cleaner. This is a service that we offer to our customers, which can really help them to make their homes more comfortable. After this, we can help you with sorting through the actual things and carrying out rubbish disposal in Poplar, E14 - where you filter through the items, taking up space and deciding what you actually want to keep and what you don’t. We can assist you with hiring a skip in order to make it easier for yourself. Skip hire can be done easily, but it is important to check, if you need to have a skip permit in order to do this. We can get one for you. Other methods we use to restore order involve getting rid of furniture, you don’t want or need. It is amazing how much Poplar waste disposal E14 can help to make a home look bigger and more spacious, and if there is excess furniture, this is definitely worth doing. On top of this, white goods recycling is a quick and easy way to get rid of old washing machines and so on, as well as doing your bit for the environment. We have plenty of extremely helpful services that we can offer in your home. Restoring order to your home or the home of someone can be easier and affordable. Simply call Handy Rubbish on 020 3540 8282 to see how we can help you today. Our waste clearance services across E14 area are available for very cheap and affordable rates, so really there is no reason why we shouldn’t be your first choice when it comes to waste disposal. Used their same day rubbish disposal in Poplar E14 because another company cancelled my job in the last moment. Handy Rubbish offered me a cheaper price and didn’t let me down. Will hire them again in the future! - Reviewed by Nancy P.
Situated in the London Borough of Tower Hamlets, Poplar in the east of London, is a mainly residential area. The housing here is mainly terraced housing and council estates, making it typical of a city in this way. 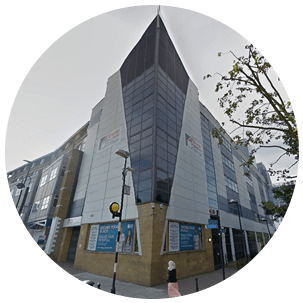 It is in the postcode district E14 and nearby places include areas such as Stratford, Barking, Southwark and Holloway. Postcode districts surrounding Poplar include E15, IG11, SE16 and N7. Poplar has a few notable buildings that were left behind from wartime bombings, but has also had modern buildings added, bringing Poplar’s past and present together. For example, there is now a new church which was built in 2012 on the site, where a church was bombed during air raids. This church houses many sculptures and is open to the public to look around, bringing people into Poplar. The area is serviced by both the tube and docklands light railway, making it easily accessible to the public who want to visit this historic area. There are plenty of famous people who were born in Poplar, including Harry Redknapp, Jennifer Worth, the author of ‘Call The Midwife’and the social reformer Will Crooks MP.